Nike has introduced an iteration of its Jewel Swoosh Air Force 1 Mid that blends the French flag, camouflage and earthy hues into a complete package. 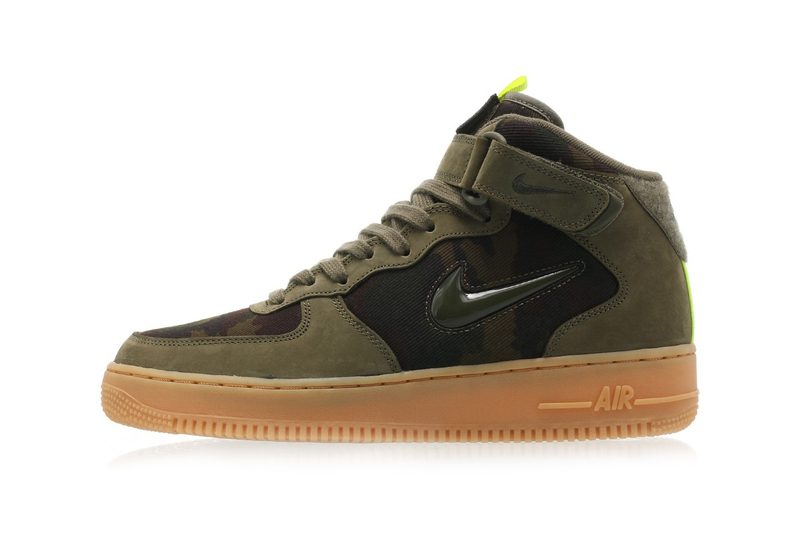 A gum outsole complements the green suede and camo panels above, with a tonal Swoosh and laces maintaining the low-key colorway. On the tongue, a French flag decal is adhered with velcro, allowing the owner to swap for the country of their choice, if they have the appropriate badge. Meanwhile, a furry heel panel and yellow stripe add some contrast to the otherwise understated sneaker. Grab the “French Flag” Jewel Air Force 1 from stockists like Titolo’s site and Nike now. Featuring new GORE-TEX Wallabee colorways. Complete with a new Predator 18+ colorway. Shot in the gardens of Villa Lante.